Credit: Credit: Jason Richards/Oak Ridge National Laboratory, U.S. Dept. of Energy. A team of researchers from Oak Ridge National Lab oratory has been awarded nearly $2 million over three years from the Department of Energy to explore the potential of machine learning in revolutionizing scientific data analysis. The Advances in Machine Learning to Improve Scientific Discovery at Exascale and Beyond (ASCEND) project aims to use deep learning to assist researchers in making sense of massive datasets produced at the world's most sophisticated scientific facilities. Deep learning is an area of machine learning that uses artificial neural networks to enable self-learning devices and platforms. The team, led by ORNL's Thomas Potok, includes Robert Patton, Chris Symons, Steven Young and Catherine Schuman. While deep learning has long been used to classify relatively simple data such as photographs, today's scientific data presents a much greater challenge because of its size and complexity. Deep learning offers the potential to truly change the way in which researchers use massive datasets to solve challenges spanning the scientific spectrum. For example, neutron scattering data collected at ORNL's Spallation Neutron Source contain rich scientific information about structure and dynamics of materials under investigation, and deep learning could help researchers better understand the link between experimental data and materials properties. "This understanding can help scientists build and support new scientific theories, and help to design better materials," Potok said. The team aims to revolutionize current analysis paradigms by using deep learning to identify patterns in scientific data that alert scientists to potential new discoveries. 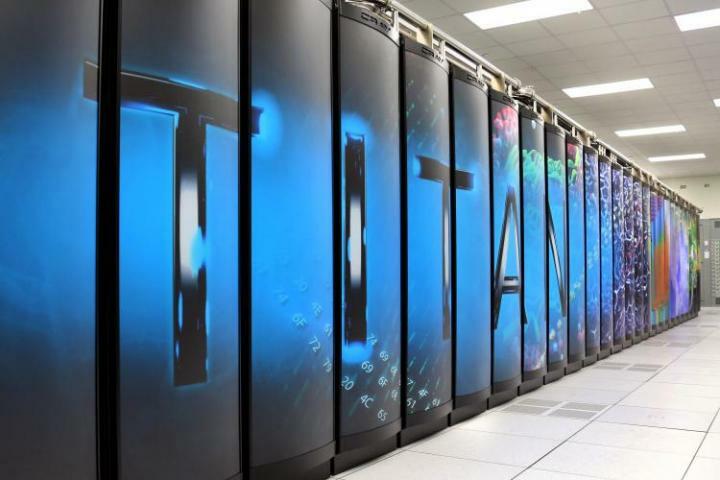 Their novel high-performance computing methods will leverage ORNL's Titan supercomputer, the nation's most powerful for open science. Potok's team plans to construct a deep learning network capable of deciphering data from hundreds of thousands of inputs, such as sensors, and learning from the complex matrices of sensor readings developed over time. ORNL's rich history of machine learning research, broad range of analytic expertise, and world-class computing resources such as Titan create an ideal setting for such research. The researchers recently outlined their approach to deep learning in a paper titled "A study of complex deep learning networks on high performance, neuromorphic, and quantum computers" in the Proceedings of the Workshop on Machine Learning in High Performance Computing Environments. "We revealed new capabilities not feasible with conventional computing architectures," said Potok. "It potentially allows us to solve very complicated problems unsolvable with current computing technologies." The project is supported by DOE's Office of Science. The Spallation Neutron Source and the Oak Ridge Leadership Computing Facility are DOE Office of Science User Facilities.